Today I was exposed to a novel idea that I thought I would share. The idea comes from a paper that came up as part of a reading group I’m in which is delving into the recent philosophy of chemistry material. The article was a chapter from “Professionalism and Ethics in Chemistry” by Jeffrey Kovac (Amazon) wherein he takes a look at how ethics is and can-be applied to the chemist profession. The article brought up a number of interesting discussion points such as how chemists must bear the responsibilities of several moralities at once. That is, how a moral chemist must deal with an ethical code of scientific rigor as well as a separate responsibility towards her employer and another towards public society. Certainly this is not unique to chemists, but I feel that ethics is more amiss in chemistry than some other fields that I can think of (physics, biology and medicine?). I would love to have included depictions of the approximate locations of the major scientific fields on this plot but time is fleeting, as always. Perhaps I will update when I find some time and inspiration for doing so. 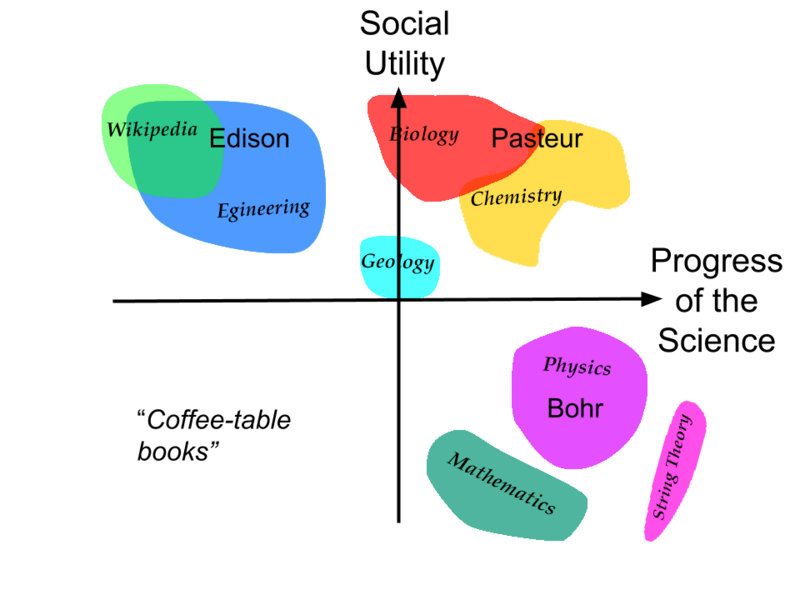 Update: The picture has been updated to incorporate some scientific fields (based on my completely subjective basis).